When the integration of OneDrive with Windows began more than a year ago (Windows version 1709 and OneDrive Files on Demand), I greeted it with a smile and a crying eye. It was done in the Windows team with the integration of different statuses in the file system NTFS and the Explorer really reliable work. That was not the case with Smartfiles under Windows 8.1. The automatism to clean up the memory space has to be entered cumbersome in Windows by the user himself, is not enterprise enabled, Microsoft required for this implementation more than a year (version 1809) and Microsoft has implemented his not very well. Let’s say: it is not Artificial Intelligence (is its implemented as a task). I also wrote this to Microsoft with a possible improvement. I had after the announcement of the mistake by my MVP colleague Frank Carius, with Microsoft intensive exchange. 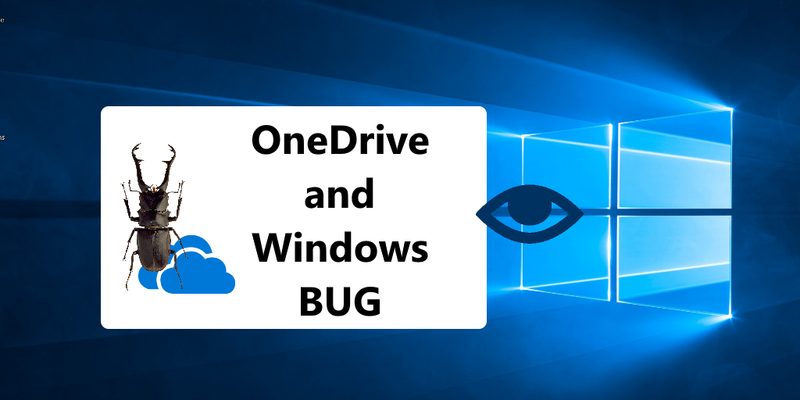 Somehow one has only after another re-investigation with several people investigated and now found that the cause is not only the OneDrive team. But also with Windows Team. In the Windows 10 version 1809, and this version had it all in itself. Many thanks to Jason Moore, his team and in particular Gaia Carini for the coordination. It’s not that easy to change the problem. First, you will see in the new Windows 10 versions (insider), if the cause of the problem is resolved. Then one will consider how to fix the Windows version 1809 in retrospect with an update the problem. It must also be taken into account that we have different versions due to the different rings in circulation. The dependency of the versions of the Next Generation Sync Client (OneDrive.exe) and the integrated automatic and stand-alone update of the Sync Client on the one hand, and the different Windows 10 Update Mechanisms (Windows Update) and the Ring Systems (Insider, Production, Enterprise) have to be exactly coordinated with each other. Microsoft is working on this bug and I know, there are several situations, why you have disable sync modus. But to delete a sync file or folder with files, where syncing is disabled, , you have switch off Pause modus. Alternative you may open a cmd box and delete it from there.